Medic Assist was established in 1980 in order to provide high quality, yet economical, Emergency medical alert ID bracelets, pendants, watches and dog tags for those in need. was established in 1980 in order to provide high quality, yet economical, Emergency medical alert ID bracelets, pendants, watches and dog tags for those in need. Men's, Ladies and Children's custom engraved medical alert Id Jewelry is available in a wide range of materials and sizes. 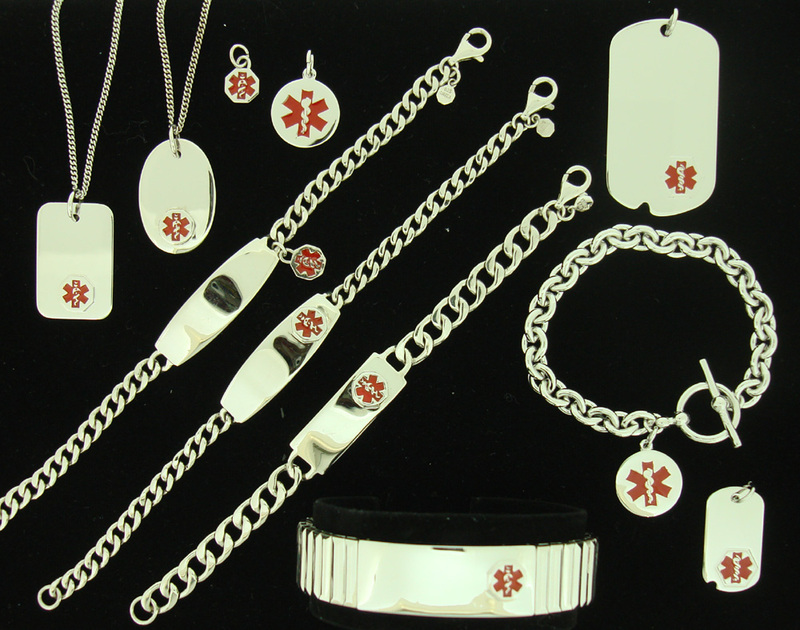 Stainless Steel, Gold plate and Sterling Silver are all available for medical alert ID jewelry. provides its products at our Jewelry Store at http://www.medicassist.com. Pendants, Bracelets, Dog Tags and watches can all be custom engraved to suit your personal needs. Wallet cards are included with each product ordered. Come back soon for information and links for a variety of ailments.